Have a vehicle scene in your project? 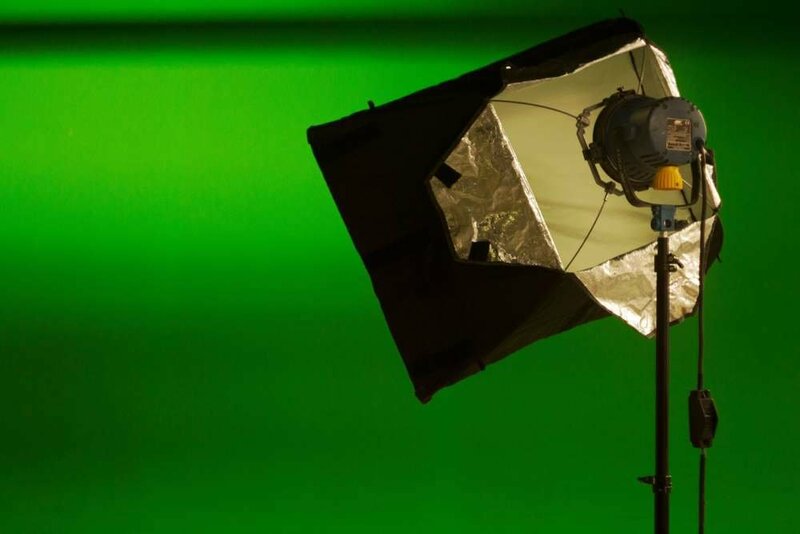 Master the art of interior compositing with a green screen background! Whether you’re shooting the interior of a car, airplane, or spaceship, compositing the interior against a believable background can create some truly epic VFX sequences. Today, we’re going to look at a few practical areas to consider during pre-production, production, and post-production to ensure your vehicle interior scenes are integrated as seamlessly as possible. Below are two impressive stills from a video we'll get to later by Tom Antos, showing how you can turn a green screen into a believable scene! When you’re in pre-production, talk with your team about the specifics of the shot. We’ve already discussed how integral pre-vis is in achieving spectacular VFX, so make sure you already have a game plan in place for what you want the scene to look like before it’s filmed, with storyboards or animatics. This way you can place your camera and actors accordingly, and figure out how to best light the scene. What’s the time of day and season in your story? How fast is the vehicle traveling? Are there locations or landmarks that should be identifiable? Will the background plate be completely digital (like a space scene)? You also want to make sure the background fits the narrative of what’s happening in the story (like transitioning to a pier near the beach, etc). If your actors are going to be mostly stationary in the vehicle, and the vehicle location is narratively in close proximity to an adjacent scene, consider using a single still (which you could even shoot yourself). That could allow you to get a similar look to the moving shots, with a lot less hassle since the car is parked. Plus, you get the advantage of having the same look as your next sequence, without having to shoot the exterior video yourself. If your vehicle is supposed to be moving, it’s important to add motion to the vehicle’s interior, so the actors can appear to be moving in conjunction with the exterior scene. You can add virtual camera shake in post, as a great alternative to using a rig to physically move the vehicle itself. Our friend Lendon covered a great tutorial on adding camera shake in After Effects here, which you could apply to your interior scene, as well as your background plate to convey the sense of motion. Another way you can achieve motion for your interior shot is to have a few crew members physically push on the exterior of the vehicle during the shoot. You definitely don’t want it to look like there are wild gorillas attacking the car (unless you’re shooting a Planet of the Apes movie), but an occasional smooth and coordinated rocking motion can give your actors the subtle illusion that they’re on the road. The best part about this method is that it’s free, looks very realistic, and can even save some time in post! Before you start shooting, think about the plate you’ll be compositing the shot with. Is it a brightly-lit daytime scene, or is it a dark night scene with a lot of traffic? For your vehicle interior shot to look a step above a lot of 90s sitcoms, have a grip wave their hand or an object in front of a key light on the actor’s face, matching the same pacing as the background plate. If there’s a lot of speed and obstacles in the environment, they’ll want to create more of a flicker. If it’s a slower drive, a more subtle motion is more appropriate. Should You Use a Green Screen for a Driving Shot? Our final consideration is an important one. After careful introspection, maybe you realize your shot would be best served in a completely practical environment. While there certainly are risks that come with shooting a scene like this practically, there are also a lot of advantages. As mentioned earlier, below is Antos' video that does an awesome job explaining how to get this look. It’s well worth checking out! Any tips you’ve found that work especially great for vehicle VFX? Let us know in the comments below!